getNEXT is a cloud-based content enablement platform. Our products make it easier for teams to create, manage, approve and deliver engaging information to their target audience. As cloud-based products, you can access them through web applications and through a variety of devices and applications. If your organization signed a getNEXT Enterprise Service Order, that Service Order may have terms that are different from the terms below, in which case that Service Order will specify which terms prevail. current version of these Terms at www.getnext.com/terms (the “Site”). If we make material changes to these Terms, we will notify you via the Services and/or by email to the address associated with your account. The Services require you to obtain an account by completing a registration form and designating a user ID and password. When registering you must: (a) provide true, current and complete information about yourself on the registration form and (b) maintain such information so it continues to be true, current and complete. unauthorized use of the Services, please contact getNEXT Support at support@getnext.com. By registering with getNEXT or signing up for Services, you understand that we may send you (including via email) information regarding the Services, such as: (a) notices about your use of the Services, including notices of violations of use; (b) updates to the Services and new features or products; and (c) promotional information and materials regarding getNEXT’s products and services. Notices emailed to you will be considered given and received when the email is sent. You can unsubscribe from promotional information; however, notices that impact you as a user of the Services are considered service messages that cannot be opted out of. We call all the electronic documents that you upload and store on your account “Content“. All Content uploaded by you into your account is yours! We don’t control, verify, or endorse the Content that you or others put on the Services. You are responsible for: (a) all Content you place in your getNEXT account(s) and share through the Services and (b) making sure that you have all the rights you need to the Content. In addition, by storing, using or transmitting Content you cannot and will not violate any law or these Terms (please also see the Acceptable Use Policy in Section 9). You agree to provide getNEXT (as well as agents or service providers acting on getNEXT’s behalf to provide the Services) the right to transmit, process, use and disclose Content and other information which we may obtain as part of your use of the Services but only: (i) as necessary for us to provide the Services, (ii) as otherwise permitted by these Terms, (iii) as otherwise required by law, regulation or order, or (iv) to respond to an emergency. getNEXT respects the intellectual property of others and will respond to notices of alleged copyright infringement that comply with the law. We reserve the right to delete or disable Content alleged to violate copyright laws or these Terms and reserve the right to terminate the account(s) of violators. getNEXT will respond expeditiously to claims of copyright infringement committed using getNEXT Services or the getNEXT website (the “Site”), in accordance with the Digital Millennium Copyright Act of 1998, the text of which may be found on the U.S. Copyright Office website at http://www.copyright.gov/legislation/dmca.pdf . If you are a copyright owner or an agent thereof, please report the alleged copyright infringement taking place on or through the Site by completing the DMCA notice of alleged infringement (“DMCA Notice”) found below and delivering it to getNEXT’s Designated Copyright Agent. Upon receipt of the DMCA Notice, getNEXT will take whatever action it deems appropriate, in its sole discretion, including removal of the content at issue from the Site. To submit a DMCA notice contact dmca@getnext.com. During your use of the Services, getNEXT may share with you information that is confidential, sensitive or should be kept secret. For example, if we tell you about our product roadmaps, product designs and architecture, technology and technical information, provide you with security audit reviews, business and marketing plans, or share with you our business processes, these should always be considered confidential to getNEXT. Also, if either of us provide any documents to the other that are labeled “confidential” (or something similar) or provide information (either in writing or verbal) that is of a type that a reasonable person should understand to be confidential such information is to be treated as confidential information. You agree that you will not use the Services in a way that will cause harm to the Services or others. For example, you must not use the Services to harm, threaten, or harass another person, organization or getNEXT and/or to build a similar service or website. You must not: (a) damage, disable, overburden, or impair the Service (or any network connected to the Services); (b) resell or redistribute the Services or any part of it; (c) use any unauthorized means to modify, reroute, or gain access to the Services or attempt to carry out these activities; (d) use any automated process or service (such as a bot, a spider, or periodic caching of information stored by getNEXT) to access or use the Services; (e) use the Services beyond the features allocation and amounts provided in that Service or in violation of our fair use policy; (f) use the Services to violate any law of distribute malware or malicious Content; or (g) distribute, post, share information or Content you don’t have the right to or is illegal. We also reserve the right to deactivate, change and/or require you to change your user ID, API keys, links or other references you may obtain through the Services. Your use of the Services may be immediately terminated and/or suspended, at our option, upon notice due to: (a) a breach of the terms of these TOU, the Documentation or Service Order by Customer or any user given access to Customer’s account; or (b) a breach by Customer or Reseller of its payment obligations to us with respect to the subscriptions in connection with these terms. You understand that if your account is suspended or terminated, you may no longer have access to the Content that is stored with the Services. We reserve the right to change or discontinue individual features within the Services upon prior written notice. To the extent any such changes result in a material reduction of overall functionality without a comparable replacement, we will refund you a pro-rata portion of all prepaid fees associated with the discontinued Services for which no comparable replacement was provided. All contents of the Site and Services including but not limited to logo, design, text, software, technical drawings, configurations, graphics, other files, and their selection and arrangement and getNEXT Confidential Information belong to getNEXT, and/or its suppliers, affiliates, or licensors. getNEXT or its licensors own and reserve all right, title and interest in and to the Services and all hardware, software and other items used to provide the Services, other than the rights we expressly grant to you to use the Services and getNEXT Confidential Information. No title to or ownership of any proprietary rights related to the Services or getNEXT Confidential Information is transferred to you pursuant to these Terms.  If you provide comments, suggestions and recommendations to getNEXT about a Service (e.g., modifications, enhancements, improvements) (collectively, “Feedback”), you are automatically assigning this Feedback to getNEXT. TO THE EXTENT NOT PROHIBITED BY LAW, GETNEXT AND ITS AFFILIATES (AND ASSOCIATED SERVICE PROVIDERS) (A) PROVIDE THE SERVICES “AS IS”, “WITH ALL FAULTS” AND “AS AVAILABLE”, (B) MAKE NO REPRESENTATIONS OR WARRANTIES OR CONDITIONS WHETHER EXPRESS OR IMPLIED (E.G. WARRANTY OF MERCHANTABILITY, SATISFACTORY QUALITY, FITNESS FOR A PARTICULAR PURPOSE, OR NON-INFRINGEMENT), AND (C) DO NOT GUARANTEE THAT THE SERVICES WILL BE UNINTERRUPTED, ERROR-FREE OR FREE OF HARMFUL COMPONENTS, THAT THE CONTENT WILL BE SECURE OR NOT OTHERWISE LOST OR DAMAGED. To the extent not prohibited by law, you will defend getNEXT against any cost, loss, damage, or other liability arising from any third party demand or claim that any Content or information provided by you, or your use of the Services: (a) infringes a registered patent, trademark, or copyright of a third party, or misappropriates a trade secret (to the extent that such misappropriation is not the result of getNEXT’s actions); or (b) violates applicable law or these Terms. getNEXT will reasonably notify you of any such claim or demand that is subject to your indemnification obligation. TO THE EXTENT NOT PROHIBITED BY LAW, IN NO EVENT WILL GETNEXT, ITS AFFILIATES, RESELLERS, OFFICERS, EMPLOYEES, AGENTS, SUPPLIERS OR LICENSORS BE LIABLE FOR: ANY INDIRECT, INCIDENTAL, SPECIAL, PUNITIVE, COVER OR CONSEQUENTIAL DAMAGES (INCLUDING, WITHOUT LIMITATION, DAMAGES FOR LOST PROFITS, REVENUE, GOODWILL, USE OR CONTENT) HOWEVER CAUSED, UNDER ANY THEORY OF LIABILITY, INCLUDING, WITHOUT LIMITATION, CONTRACT, TORT, WARRANTY, NEGLIGENCE OR OTHERWISE, EVEN IF GETNEXT HAS BEEN ADVISED AS TO THE POSSIBILITY OF SUCH DAMAGES. THE AGGREGATE LIABILITY OF GETNEXT AND ITS AFFILIATES, OFFICERS, RESELLERS, EMPLOYEES, AGENTS, SUPPLIERS OR LICENSORS, RELATING TO THE SERVICES WILL BE LIMITED: ONE TIMES THE MOST RECENT YEARLY FEE THAT YOU PAID FOR THAT SERVICE. THE LIMITATIONS AND EXCLUSIONS ALSO APPLY IF THIS REMEDY DOES NOT FULLY COMPENSATE YOU FOR ANY LOSSES OR FAILS OF ITS ESSENTIAL PURPOSE. You agree that the Terms, and your relationship with getNEXT will be governed by the laws of the Commonwealth of Pennsylvania, U.S.A.;except for its conflicts of laws principles or as may be preempted by federal law. We both agree that the United Nations Convention on Contracts for the International Sale of Goods and the Uniform Computer Information Transactions Act does not apply to these Terms. All disputes of whatsoever kind, relating, interpreting or in connection with the services in any way shall be resolved by binding arbitration to be held only in Philadelphia, Pennsylvania, according to the commercial arbitration rules then effective of the American Arbitration Association. The arbitration shall be conducted in the English language and the parties agree that a sole arbitrator shall be selected. The decision of the arbitrator shall be final and binding upon the parties, both as to law and to fact, enforceable at law or in equity, as the case may require, and shall not be appealable to any court in any jurisdiction. Judgment upon any award of arbitration may be entered in any state or federal court in Pennsylvania. The arbitrator shall, as part of the award, order that the party which does not prevail shall pay the prevailing party its attorneys’ fees and expenses of any such arbitration. However, the administrative costs of such arbitration as determined by the American Arbitration Association shall be equally shared between the parties and shall be limited to the arbitrator’s fees and expenses and other administrative expenses charged by the American Arbitration association. Charges for stenographic fees and expenses shall be borne by the parties ordering such services. Nothing herein set forth shall prevent the parties from settling any dispute or controversy by mutual agreement at any time. In no event shall any demand for arbitration be made after the time period permitted by the applicable statute of limitations under Pennsylvania law. Nothing herein contained shall bar the right of a party equitable relief pending the outcome of any arbitration proceeding that has been or will be, when contractually permissible, requested. You: (a) are required to have a getNEXT account for each user, (b) will only receive the features and functionality that are included in the specific subscription plan that you have purchased, (c) are responsible for setting your configurations of the getNEXT Service, and (d) are responsible for managing any of your devices and/or any systems that you use to access the getNEXT Service. You acknowledge that your use of Twixl Media software is also governed by the Twixl Media Software License Agreement, a copy of which is available at https://twixlmedia.com/files/gtc/GTC_US.pdf . You acknowledge that neither getNEXT nor Twixl Media can provide assistance with the approval process of your app that is submitted to any application marketplace. You further agree to maintain applicable developer agreements for any platform to which you will publish. Application marketplaces change rules of application deployment and neither getNEXT nor Twixl can make any guarantees that use of external services and databases will be supported in the future by such marketplaces. Some functionality may require software development or deployment of additional infrastructure. Unless otherwise stated within your Service Order, these services are not included and will be priced separately. Your use of PageProof is contingent on your agreement to the PageProof Terms of Service located at https://pageproof.com/terms. not receive our corresponding payment from the Reseller. 18.2 Severability; Entire Agreement. These Terms apply to the maximum extent permitted by relevant law. If a court holds that we cannot enforce a part of these Terms as written, you and we will replace those terms with similar terms to the extent enforceable under the relevant law, but the rest of these Terms will remain in effect. This is the entire contract between you and us regarding the Service. It supersedes any prior contract or oral or written statements regarding your use of the Services. 18.3 Assignment and transfer. We may assign, transfer, or otherwise dispose our rights and obligations under this contract, in whole or in part, at any time without notice. You may not assign this contract or transfer any rights to use the Service, unless we allow you to do so in writing. 18.4 Independent Contractors; No third-party beneficiaries. getNEXT and you are not legal partners or agents; instead, our relationship is that of independent contractors. This contract is solely for your and our benefit. It is not for the benefit of any other person, except for permitted successors. 18.5 Waiver. The failure of either of us to insist upon or enforce strict performance of any of the provisions of these Terms or to exercise any rights or remedies under these Terms will not be construed as a waiver or relinquishment to any extent of such right to assert or rely upon any such provision, right or remedy in that or any other instance; rather, the same will remain in full force and effect.